Straight from the barn. 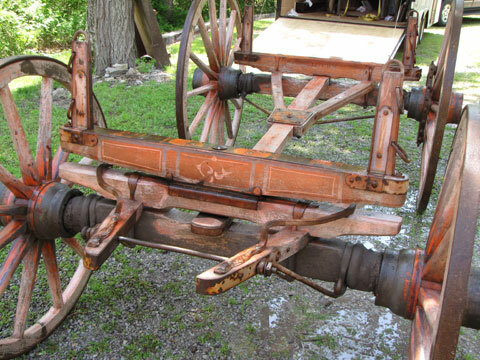 Near 100 year old triple box, high wheel Peter Schuttler wagon with original spring seat. Solid floor, good wheels & tires. Original paint on box and gear. No linseed oil. 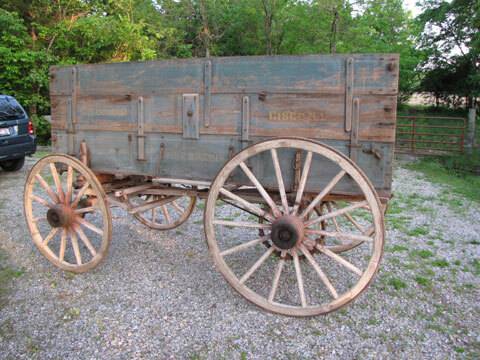 Excellent choice for ranch or competitive chuck wagon. $8,450.